Brad Lake enjoys his Glass Slipper ‘continuation’ boat. The correlation is obvious. As the popularity of fiberglass boats rose during the 1950s and ’60s, the near demise of wooden runabouts followed – along with some understandable disdain for the “new kids on the block.” But are classic fiberglass boats truly as ugly and unworthy as they’ve been made out to be? A growing number of collectors say no. “It’s true that the advent of fiberglass meant the end of the wooden boat era. But I don’t think we should compare the two,” said classic boat collector Corinne Hurst, of Opelika, Ala. “The beauty of wooden boats is incomparable, so of course the majority of people prefer wood over fiberglass. But a case can be made for fiberglass. It allowed the average family an affordable boat and put them into the hands of the common man like never before. And that is still true today. It’s always boating season for Soddy-Daisy resident Larry Forget. He spends countless hours restoring antique boats to make them not only seaworthy, but also see-worthy. 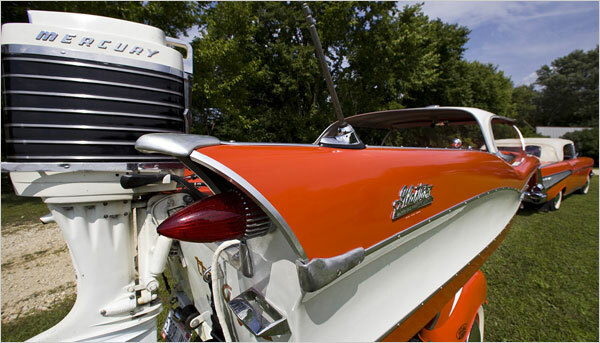 He and his wife Cheryl have garnered many awards for their restored boats, which are often named Cheryl’s Fancy. 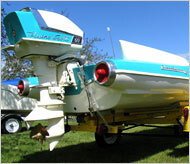 For example, in 1985 they accepted the Best Chris-Craft Sports Boats Inc. in Clayton, N.Y., for Cheryl’s Fancy. It was a 1947 Chris-Craft Rocket the couple later sold in 1988. “We’ve been antique boat collecting for 30 years and married 40 years,” said Larry Forget. “We were at the first Antique Boat Race Regatta in 1992 at 1,000 Islands in Clayton, N.Y. In Poughkeepsie we got an ACBS Hudson River Chapter 1985 Classic Runabout 3rd Place. The Southern New England Chapter of the Antique and Classic Boat Society presented us the 2nd Place in Class Annual Summer Show Award too. He and his wife belong to the Antique and Classic Boat Society and the Antique Outboard Motor Club. They estimate Larry Forget has restored almost one boat per year since the hobby began in upstate New York on the Hudson River. Their love of antique boats continued when they moved to Melbourne, Fla. When they grew tired of hurricanes, they decided to move to Soddy-Daisy so they could remain close to water. That was six years ago. Larry Forget now owns three boats and has sold other ones on which he has worked. He is currently working to restore a 1959 G-3 Glasspar Ski Boat in his garage. He said he likes to purchase boats from their original owner so he can find out the boat’s history. He said he has found nice 50s and 60s-era boats in the Chattanooga area. 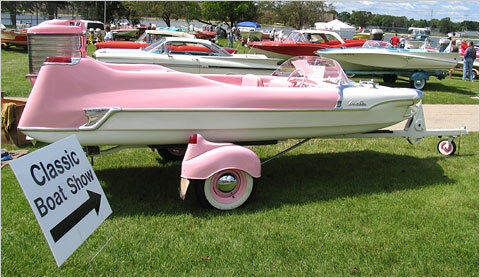 In the 1950s Soddy-Daisy had hydroplane boat races. Meeting other couples with antique boats is Larry and Cheryl Forget’s favorite thing to do, he said. Cheryl Forget said Larry did not have a boat growing up, but he decided after they married that he wanted to get into boating. 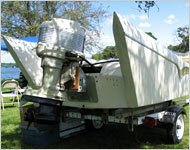 He started out fixing chain saw motors, lawnmower motors and later upgraded to boat motors.